"New" are bookings which have not been opened to view. Once you open them and save or update them the status will change to "Confirmed". In SETTINGS->ACCOUNT PREFERENCES you can set which status you want to apply to new bookings. "Black Bookings" are bookings without guest. They can be used to close a room. Black bookings are not considered in reports. online by your guest using the availability calendars, booking buttons and booking page. imported from other channels by the channel manager. Click on the ADD BOOKING Button on the top right. To add a booking for multiple rooms or to check for available rooms click on "Price Check"
Add bookings in CALENDAR directly into the room or even the room and the date. If you want to manually add a booking for a guest who previously stayed use the "Search" field in the booking. The instructions in https://api.beds24.com/putbookingscsv.php explain the procedure in detail. Also you can always check a guest in by opening the booking and setting the info code "Checkin" in the "Info" tab. 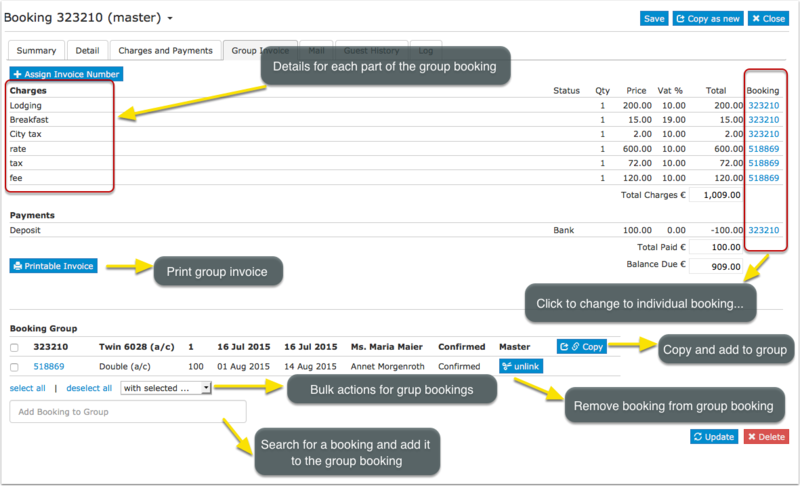 After clicking on BOOKINGS in the top menu you will see your bookings in a a CALENDAR view or LIST view. By default you will see all bookings from today. You can use the selector to view only certain bookings. The Info tab consists of a customizable summary of the booking information and a set of info items which can be attached to a booking. Info codes can be added from the preset list. You can add manual notes. 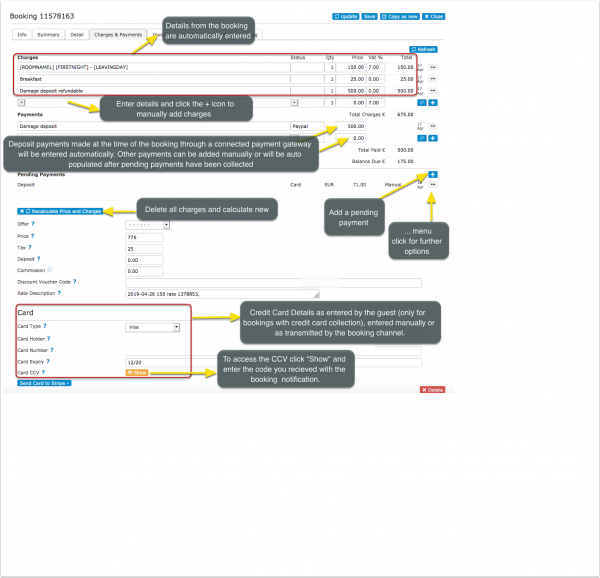 The info code can be used in custom reports to show or hide selected bookings and also in Auto Actions. For example, if you use the code "CHECKEDIN" when guests check in and "CHECKEDOUT" when guests check out, you could create a custom reports to show custom reports by showing booking which include the info code "CHECKEDIN" and excluding those that have the info code "CHECKEDOUT. You can also use template variables. Preset info codes can be defined in SETTINGS->ACCOUNT -> PREFERENCES "Booking Info Code Presets "
If you want to hide the info tab go to SUB ACCOUNT (top right Menu) then click on "Manage Account" and add the phrase bookedit-info in "Hide menu pages"
The "Slice" function allows to divide a booking into individual bookings with different start and end dates. This functions is useful if for example a guest changes rooms during his stay. When you want to select a different UNIT, if the symbol ® is next to a unit/room, this indicates there is already a booking in this unit, so you should choose another unit. Which information you see on this tab is defined by the settings activated in SETTINGS->PROPERTIES->BOOKING QUESTIONS. 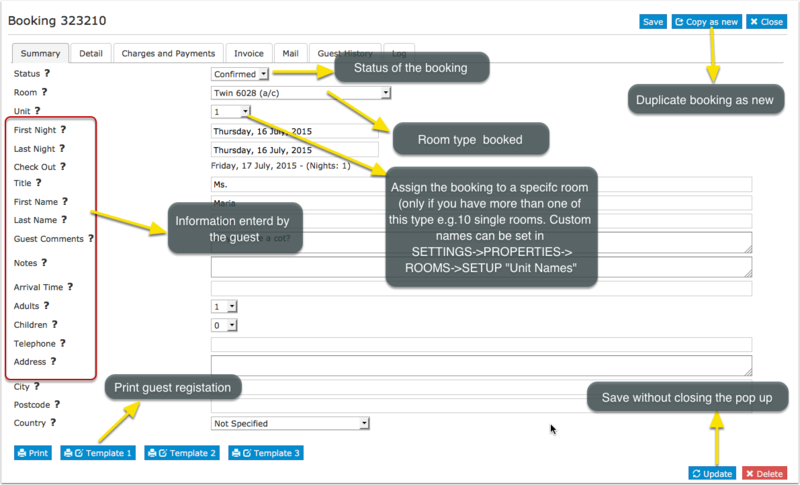 Split can be used to split a booking for multiple rooms into separate bookings so each can be assigned to an individual room. 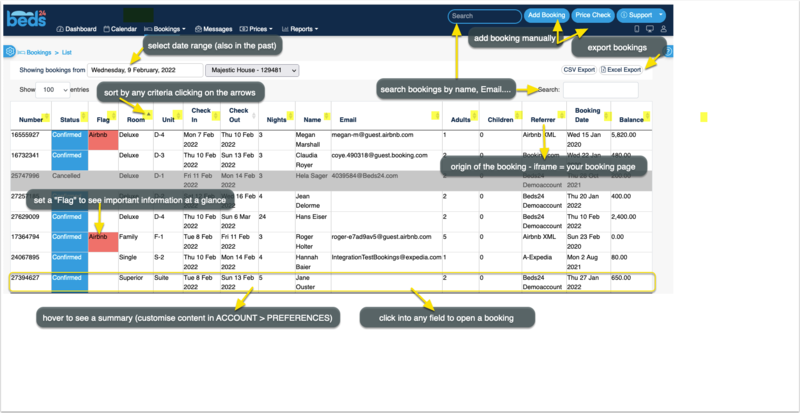 All split bookings will be linked so they can be easily managed. FLAG can be used to flag bookings that require special attention. The flag text is displayed with the other booking fields within the control panel and the [FLAG] template variable can be used to display this text as "hovertext" when the mouse cursor is positioned over the flagged booking in the Calendar view. Flags can also be automatically applied via Auto Action which you can set up in SETTINGS->GUEST MANAGEMENT->AUTO ACTIONS. 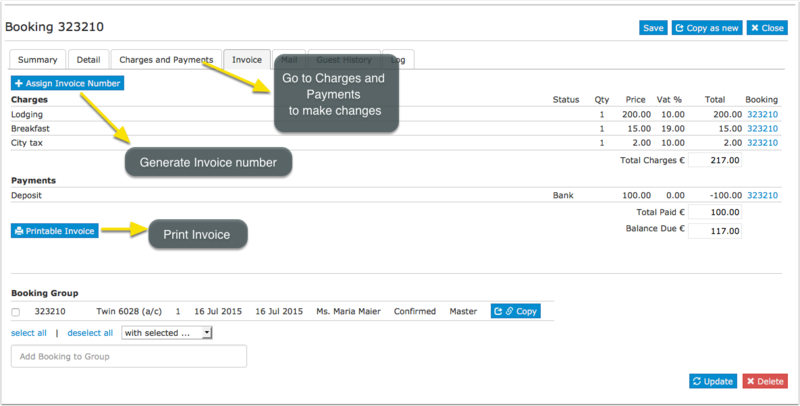 In the tab Charges and Payments you may enter more charges and payments manually. Enter chargeable items or and payments. Click Recalculate to update the balance and enter a blank new row. To remove an item check the remove box and click Recalculate. The balance will be calculated and displayed for this booking in the booking summary. You can also manage and create group bookings. 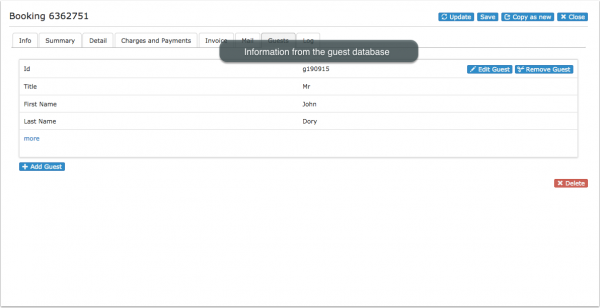 You have the option to add guests to the booking or remove guests. If a booking is imported from a channel and you have changed the room in Beds24 you need to change the setting for "Allow Channel Modifications" in the "Details" tab ot the booking to prevent the channel to override the room change with the next update. If the info codes LOCKROOM or LOCKUNIT manual room changes by staff are not possible. If you do not see these in the the drop down list you can manually add them in SETTINGS->ACCOUNT -> PREFERENCES "Booking Info Code Presets "
The logs shows all changes which have been made. Deleted bookings are permanently removed from the system and can not be restored. Direct booking can be cancelled by changing the status to "Cancelled". For bookings from channels the cancellation has to be made on the channel either by the guest or by the channel. If this is not possible you can change the status in Beds24 and set "Allow Channel Modifications" = No in the "Details" tab of the booking. This will stop the channel to override the status change but not actually cancel the booking in the channel. You can allow guests to cancel bookings themselves. By default the system uses the policy you can set under SETTINGS -> PROPERTIES -> BOOKING RULES. You have the option to override these settings for offers or individual bookings. If you allow cancellations you can send your guests a link to let them cancel via the system without contacting you. Include the template variable [CANCELURL] into your e-mail confirmation message. When guests cancel a booking they will receive a system notification that the booking was cancelled. 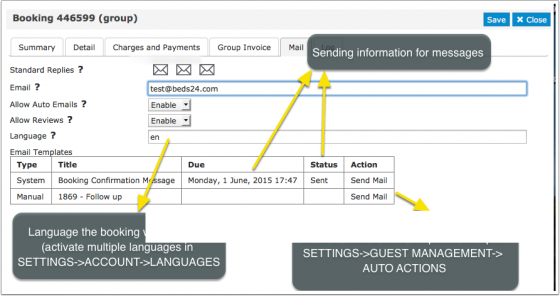 If required you can set up an additional Auto Action Email in SETTINGS -> GUEST MANAGEMENT -> AUTO ACTIONS. Change the status of bookings. Move bookings to another room. To bulk delete bookings the status has to be changed to "Cancelled" first. Template variable can be used to display information from the booking in confirmation messages to guests, auto action Emails, host notifications or invoices.